When a person steps up and makes the personal sacrifice to serve our country, the U.S. military promises to take care of them. This is central to the fundamental contract our country makes with the brave men and women who join our armed forces. The military also makes a similar commitment to the communities that embrace service members and the military’s mission. Unfortunately, too often we have fallen short of keeping our commitment to those serving, their families, and the communities that support them. According to a Government Accountability Office (GAO) report, the military has identified 401 military installations that have known or potential releases of per- and polyfluoroalkyl substances, commonly referred to as PFAS. 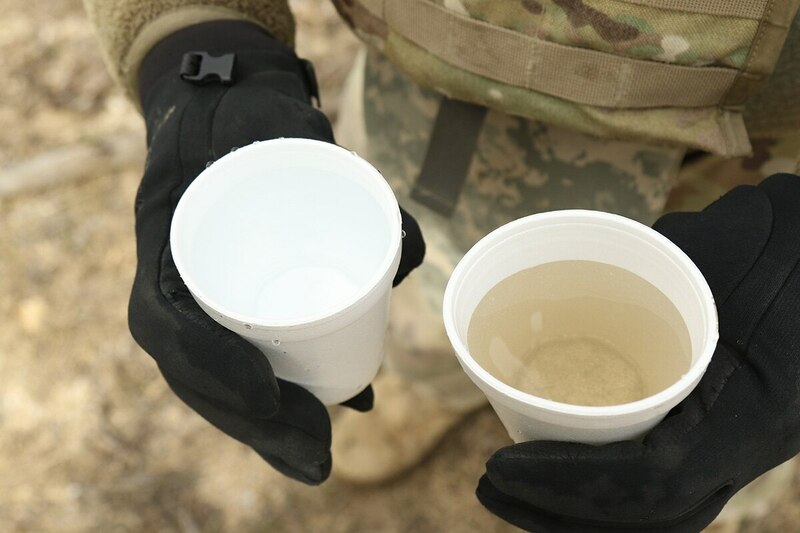 Toxic PFAS chemicals have leached into drinking water around many military bases and has been linked to multiple serious health issues, including thyroid disease and kidney cancer. Thus, many service members, veterans and communities living around military installations are dealing with the health impacts of PFAS exposure. To better honor our commitment to protect veterans and public health, the military and Congress must work together more urgently to clean-up PFAS chemical contamination and take care of those already exposed. I represent Oscoda, Michigan, a community that is home to the former Wurtsmith Air Force Base. Unfortunately, Wurtsmith is one of the hundreds of military sites identified as having groundwater near the base that is unsafe to drink after firefighting foam containing PFAS chemicals used there leeched into the groundwater. Many Oscoda residents use the groundwater for their drinking water source. However, despite being aware of PFAS contamination at Wurtsmith since 2012, the Air Force has repeatedly failed to install enough treatment equipment to stop contamination coming from the former base. As a result, there are dangerously high levels of PFAS that continue to leech into the groundwater in Oscoda. According to the GAO, as of 2017, of the 401 installations where the military has found PFAS contaminated at its installations, the military has only acted to stop PFAS contamination at 32 locations. That means more than 90 percent of military bases have not begun the process of cleaning up PFAS. Simply, the military needs to do much more to protect service members, veterans, and the communities that host them from exposure to PFAS. First, the military should stop using these dangerous chemicals and develop a firefighting foam that is effective but will not endanger public health. And the military must partner with Congress to find the resources required to clean up the existing contamination. Congress has dramatically increased funding to clean up PFAS at current and former military bases. This year, Congress appropriated nearly $150 million just to clean up PFAS. However, as we continue to understand the scope of the problem, much more will be needed. But perhaps even more important, we also need to take care of the people already exposed to PFAS and get them the health care they deserve through the U.S. Department of Veterans’ Affairs. To do this, I introduced the VETS PFAS Act that would provide health care and disability benefits to any service member that has health conditions that were identified by a previous health study of one type of PFAS chemicals. This one study is by no means conclusive, considering there are thousands of types of PFAS, which is why I helped commission a separate study to look at the health impacts of PFAS specifically on service members and their families. This study, passed by Congress in 2017, is ongoing and will give the public a much greater understanding of the health risks associated with PFAS exposure. In the new Congress, I have launched and co-chair a bipartisan PFAS Task Force, which brings Republicans and Democrats together with the goal of building support for more aggressive, urgent action on PFAS. Through the task force — founded by six Republicans and six Democrats — we will explore legislation to encourage the military to quickly transition away from firefighting foam containing PFAS, as well as continuing to push for more robust increases in funding to clean up PFAS contamination at military bases. Some argue that we do not know enough about these chemicals to act or that the problem is too costly. I do not accept these arguments. The promise we make to military families and the communities that host them is that we will do whatever is necessary to take care of them. It does not say America will only do so if it’s cost effective. It doesn’t say we will only keep our promises when it is convenient. Additionally, the long-term cost of doing nothing, especially on the well-being of millions of Americans, is greater than the value of action now. In conclusion, the military and Congress need to work together to fully address PFAS contamination and care for service members and their families. We should stop using these chemicals as much as possible to stop making the problem worse. Congress and the military must provide sufficient funding to clean up existing PFAS contamination. And this increase in resources must be matched with a greater sense of urgency from the military to fix these problems. Finally, we must work together to provide service members and their families impacted by PFAS with the health care and benefits they deserve. Military families, and the communities that support them, deserve nothing less. We made them that promise. Let’s keep it. Rep. Dan Kildee represents Michigan’s 5th Congressional District.